A student is being praised by local police for reporting a concerning comment heard at school, leading to the arrest of three men and a male teen for allegedly planning an attack against an upstate New York Muslim community. Brian Colaneri, 20, Vincent Vetromile, 19, Andrew Crysel, 18, and an unidentified 16-year-old male were arrested Friday in Greece, N.Y., and charged with three felony counts of criminal possession of a weapon and one felony count of conspiracy, reports CNN. The student told school officials who interviewed the students involved. School security also notified Greece police who launched an investigation with the help of the New York State Police, federal law enforcement, and officers from neighboring towns. After conducting further interviews, police executed several search warrants and found 23 firearms and three homemade bombs, which are currently being analyzed by the FBI. 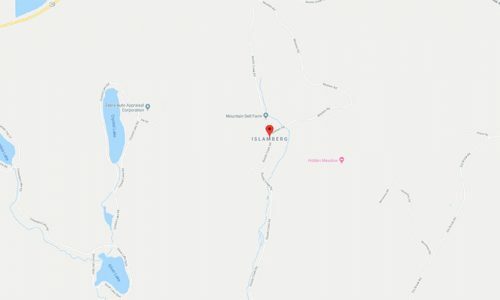 Police also found an alleged plan to attack Islamberg, a small community of around 200 people settled by Muslim families in the 1980s. Local authorities and neighbors say the community is a peaceful, long-established part of the region’s culture. Phelan would not give details of the alleged plot but says it appears the plot has been in the works for about a month. The quick investigation is an example of how teaching kids to “see something, say something” can work, says Phelan. This isn’t the first time Islamberg has been targeted. In 2017, a Tenn. man was sentenced to 20 years in prison after plotting to burn down the community’s mosque and school. Anti-Muslim activists also regularly hold protests near Islamberg, claiming the community poses a danger to the wider community. Those claims have been regularly debunked by state police and the FBI, according to NPR. Phelan expects more charges to come pending an analysis of numerous phones and computers seizure during the searches. A preliminary court hearing is scheduled for today at 11 a.m. The post N.Y. Student Praised for Foiling Planned Islamberg Attack appeared first on Campus Safety Magazine.